I am really starting to enjoy this Clean and Simple style! Today’s card is for that very challenge over at Addicted to Stamps and More. that I recently started contributing to. It is full of great ideas this month! The magazine is called Die Cut Crazy…so if you have an iPad…check it out! After I cut out the letters with my Cricut, I sponged them with some Memento pink ink. The flower and leaves were also cut out with my Cricut! Used my Scor-pal for some definition. Ran the leaves through my Cuttlebug for texture! Okay, my son will be home in a few hours, (Happy Girl) gotta get back to the kitchen! Time to make some Caramel Bars and Cornbread! Categories: Uncategorized | Tags: Card making, Cards, CAS, Cricut, cuttlebug, rubber stamps, stamping, Thank you card | Permalink. nicely done! enjoy your spring break! I love your CAS card. It is hard for me to do this kind of card, because I want to put too much stuff on it. lol This is perfect…..very lovely. A beautiful CAS card! Love it and love your creations here! Hi Nancy. Hope all is well. Beautiful card. 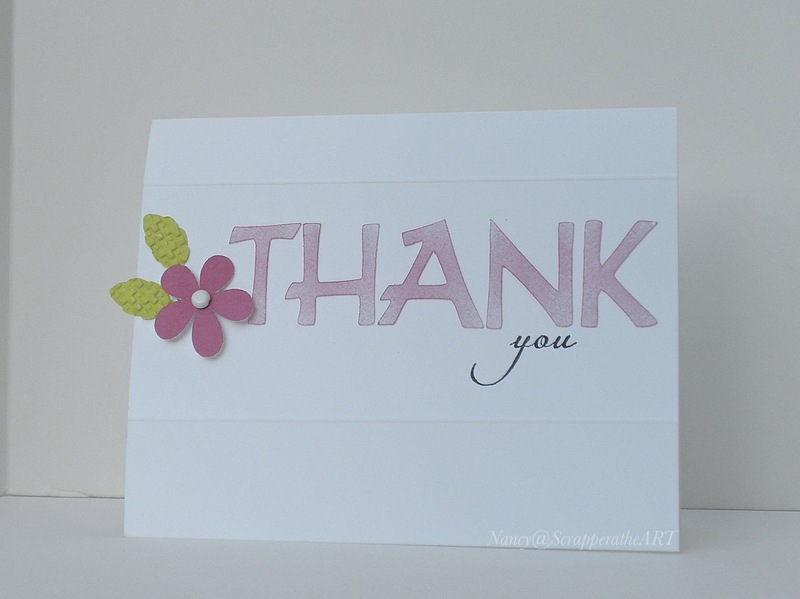 Thank you for playing along with Addicted to Stamps and More. Enjoy your time with your Son.